Spring ephemerals carve out their environmental niche in the early part of the season. They flourish in the early days of spring, when sunlight streams through the leafless trees and hits the ground with full force. As trees leaf out and sunlight is cut off from the forest floor the wildflowers retreat for another year. Trillium grandiflorum is one of the last spring flowers to really carpet the forest floor. 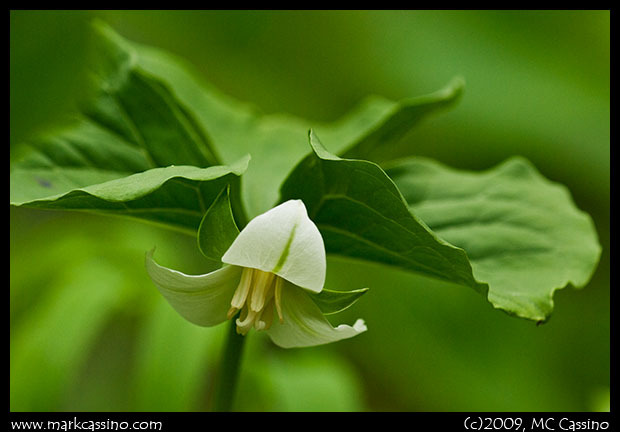 Large patches of these flowers fill the moist soil of the spring forest. Their large, white, showy flowers really catch they eye. 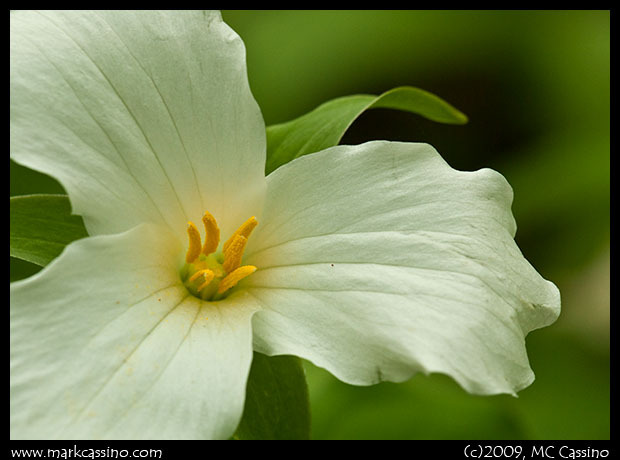 Nodding trillium is less common. 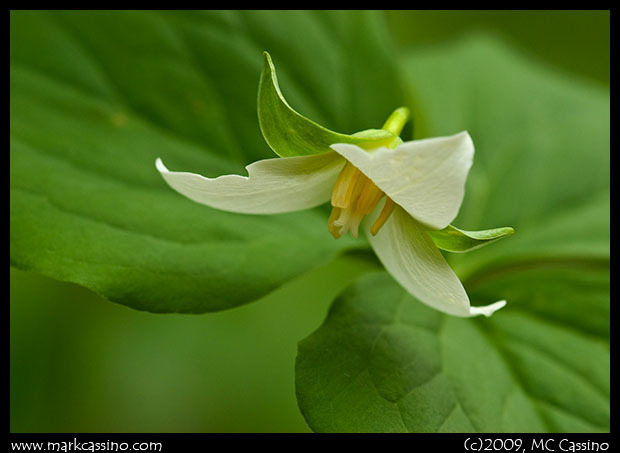 It has smaller flowers that droop down below the plant’s three part leaves. You can wander right by it and not notice, and to photograph it you have to get really low to the ground. This spring has been a wet one, and the trials I normally travel through the woods were muddy and washed out. Photographing nodding trillium, which requires getting very low to the ground, is a real exercise in “wet belly photography.” I leave the woods with several memory cards full of photos – and a jacket and jeans full of mud.